Nintendo printed hundreds of these things, but good luck finding them all. It's a well-known fact that Nintendo produced Japanese playing cards well over a hundred years ago. 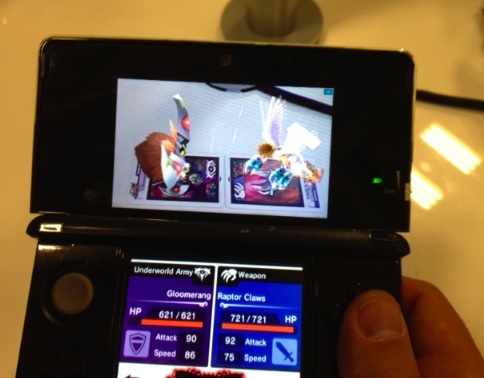 That said, it's good to see the company embracing its roots with Kid Icarus: Uprising. 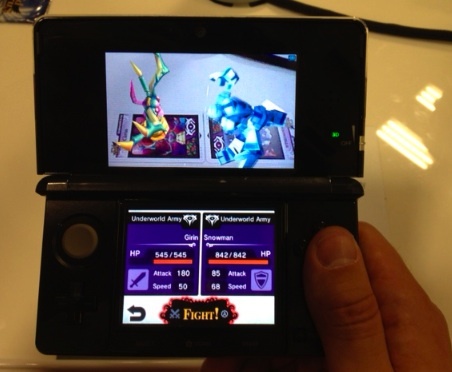 Each copy of the game includes six collectible augmented reality cards featuring characters, items and weapons. Here's the kicker. The company produced hundreds of these cards, but has no clear cut distribution model to help players snag them all. In other words, don't expect to walk into a store and pick up several packs just yet. In fact, Nintendo won't comment on the various ways it plans to release these cards to the public. It appears they'll be available (from what we've heard) via special promotions and events, though nothing has been officially announced. A recent issue of Game Informer magazine, for instance, comes with a card. Meanwhile, the big N may give them out during tournaments and other functions. Bottom line, finding them all will take a considerable amount of time. There's a reason for this, of course. Nintendo hopes to encourage trading with friends, and there are benefits to sharing. Scanning a card results in players learning more info about the object in question and they'll also obtain hearts. Not only that, but laying down two cards horizontally with tiny arrows facing each other causes characters to appear in the "real world" and fight. Unfortunately, the outcomes are always the same. In other words, it's impossible for Pit to defeat Palutena. Personally, we feel the cards are a nice distraction from the main quest and multiplayer component, but it' obvious that owning all of the cards is by far the biggest draw. We have no doubt that at least one person will accomplish this within the year. way to complete one's collection.